This is a true, raw wildflower honey from Alaska hives that combines the berries and wildflowers of the summer season. Comes in a convenient squeeze top plastic jug. Available in two sizes. A true, raw wildflower honey that blends the nectar from berry and wildflowers of the Alaskan early summer with the fireweed of late summer. This light to medium amber honey is sweet but not syrupy. Please note, Some “fireweed honey” is made by boiling fireweed blossoms and adding sugar to thicken, but this is a true honey from bees kept in interior and southcentral Alaska. We also use this honey in combination with our pure birch syrup in our Wild Alaska Birched Honey. 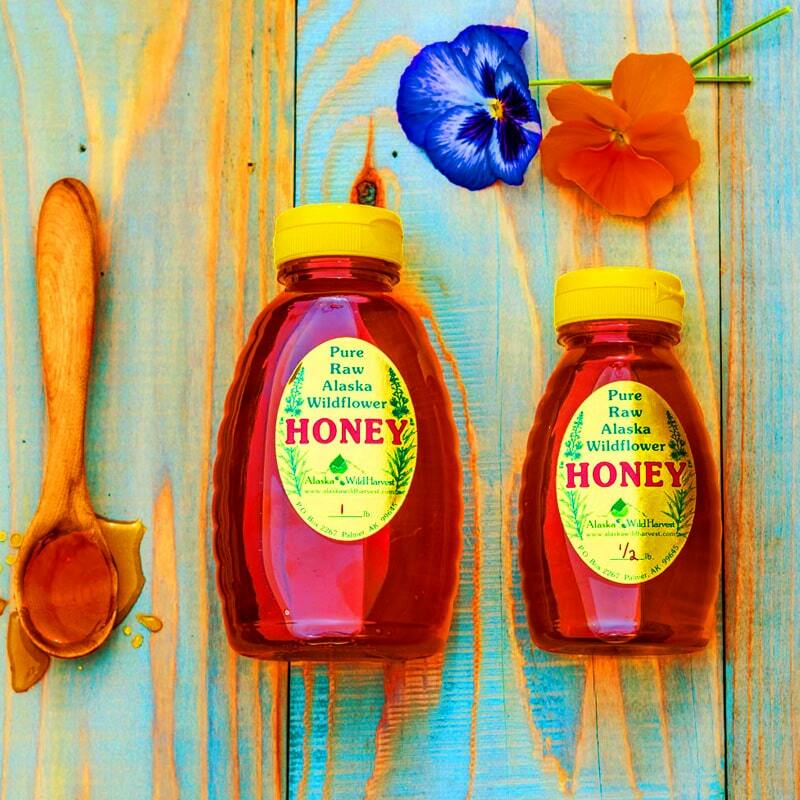 You honey lovers – give them both a try! Comes in a convenient squeeze top plastic container.